Produktinformationen "HiTechnic NXT SuperPro Prototype Board"
Create your own sensors and build your own electronic circuits with the HiTechnic SuperPro Prototype Board. The SuperPro Board is designed to plug into a solderless breadboard giving you the perfect platform to create your own NXT sensors. 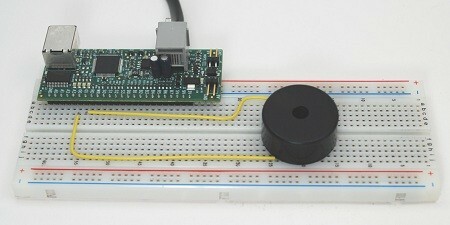 The HiTechnic SuperPro Prototype board connects to an NXT sensor port so your NXT programs can send commands to and read data from the SuperPro. NXT programming is easy with the HiTechnic NXT-G SuperPro Prototype programming block as well as with NXC, RobotC or LabVIEW. The SuperPro will also connect directly to a PC using its USB port for high speed I/O. With the SuperPro onboard program environment you can write programs on a PC using SuperPro C (SPC) and download and run your programs directly on the SuperPro. The SuperPro has 8 digital input/output pins, 4 analog inputs, 6 strobe outputs, 2 analog outputs, as well as two on-board LEDs. Weiterführende Links zu "HiTechnic NXT SuperPro Prototype Board"
Garantie(Jahre) "HiTechnic NXT SuperPro Prototype Board"
Kundenbewertungen für "HiTechnic NXT SuperPro Prototype Board"